SEGA is trying to stir up some sentimentality from Alien fans in an attempt to get them to pre-order Alien: Isolation. Not everyone is happy with the decision to take this highly anticipated and sentimental game the route of retailer specific pre-order DLC, but hey, here's the original cast of Alien talking about it! To their credit, the actors all seem genuinely pleased with the final product when talking about what The Creative Assembly achieved with its newest game. It's not as awkward as watching Behind the Scenes footage of the Star Wars prequel trilogy or anything. At the same time, these are Hollywood trained actors who do these videos for a living. It's nice to see them, and even more exciting to play as a few of them, but they are getting a paycheck to talk into that camera as if it were any movie. Just remember that. My only question is why aren't we hearing from that guy who played the Alien? Even if I am a little miffed about the Day-1 DLC route SEGA has decided to walk down, Alien: Isolation still remains one of my most anticipated games of the year. From all we've seen and heard, The Creative Assembly seems to have finally done the franchise justice after so many have failed in the past. Let's just hope the footage and everything we've seen is actually going to make it in the final game. 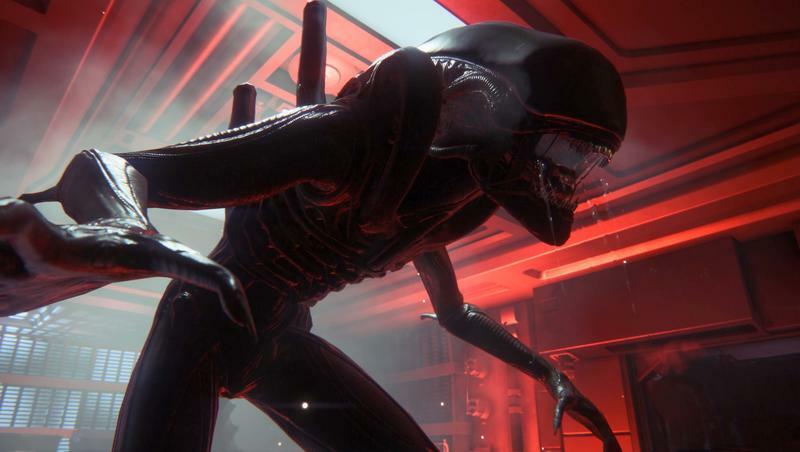 Alien: Isolation will be released for the Xbox 360, Xbox One, PlayStation 3, PlayStation 4, and PC on Oct. 7.